Nine people registered as “Palestinian refugees” killed in clashes between in a refugee camp in southern Lebanon. Nine people registered as “Palestinian refugees” were killed Monday in clashes between two armed groups in the Mieh Mieh refugee camp in southern Lebanon, local sources told AFP. A source in the camp said the groups involved in the clashes were not officially affiliated with any major faction. He named them as the Ansar Allah group, led by a former member of Palestinian Authority (PA) Chairman Mahmoud Abbas's Fatah movement, and the Shuhada al-Awda group, whose leader is close to another former Fatah member, Mohammed Dahlan, Abbas’s longtime political rival. A PA official said Shuhada al-Awda's leader and two of his brothers were among those killed. Another three fighters from the group also died, as well as two gunmen from Ansar Allah. A Palestinian Arab working for an emergency association was killed while trying to transport one of the more than 20 people wounded in the fighting, according to AFP. A Fatah official for southern Lebanon said the dispute between the groups began several weeks ago as a personal disagreement between their members. He said the clashes had stopped and efforts were under way to restore calm in the camp. 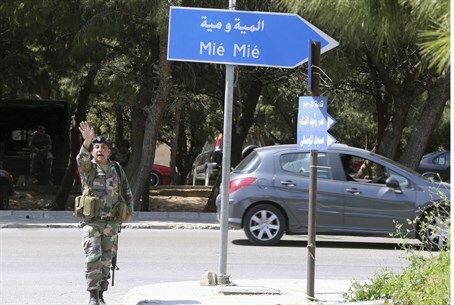 Under a long-standing agreement, Lebanese security forces do not enter the camps, where armed groups regularly clash with each other, noted AFP.